I can’t seem to get enough of @aliceandolivia lately :) This time live sketching customers at their Madison location! Was amazing to see a percentage of sales going directly to @shalvacenter #shalva. Also, this polka dot lil number is by them too. Each sketch takes 5-7 minutes to sketch. I only need a small table and chair for my events. I bring the rest! Their latest collection celebrated #KeithHaring and his iconic style which is used on prints and graphics throughout the garments. Can’t go wrong with velvet on velvet. What a magical night @christiesinc Lates Holiday Bazaar! 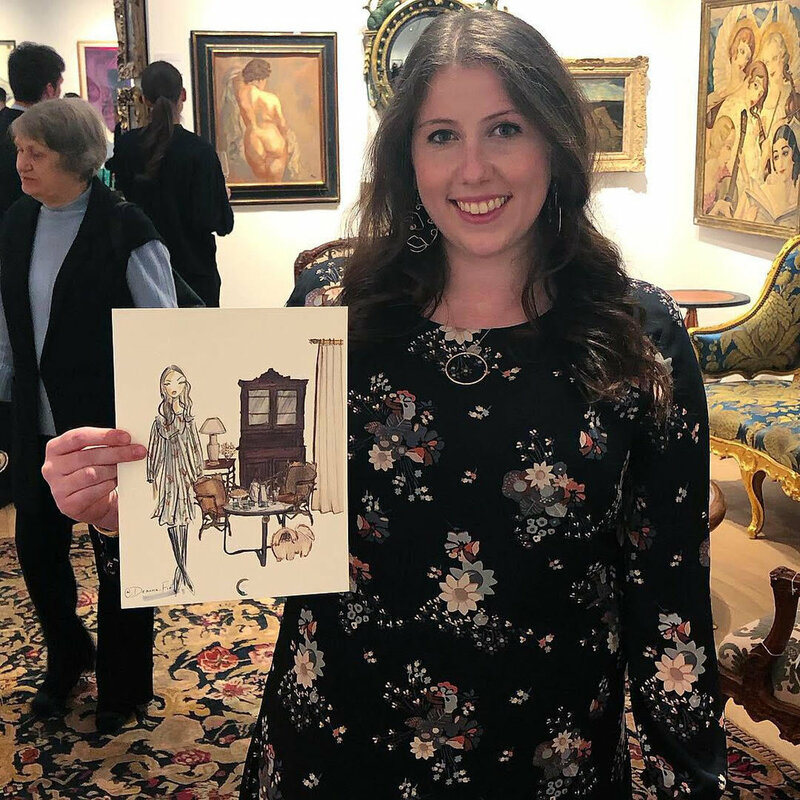 Filled with exhibitions, specialist talks, demos, live DJ + champagne 🥂 I was honored to sketch talented @eddieross interior designs for #Christies December issue + live-sketch guests into the stunning decor backdrop. What a night to remember!